As a Career Counselor and human being, I want to live in a world where people feel free to be themselves – right from their resumes on through to each day of their life. This is because I grew up in a home that didn’t have time for who I really was. A home that taught me too that the world didn’t care who I became. And that made me believe that I had nothing worthwhile to offer. Only I grew up to realize that this was absolutely not true. And that life wasn’t about just merely surviving. So over most of my lifetime, I struggled in how I worked paying more attention to what I did for work rather than what work I was designed for. But I did eventually learn how to create work that felt meaningful and that paid me to talk about the things that I loved to talk about and to connect to people in ways that made me feel like my role mattered not only to them, but to me. 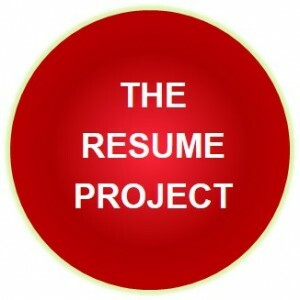 And one of the steps that made the biggest difference turned out to be in how I created my resume. And this is because it allowed me to see how I was designed to work more than anything else ever had. It is possible to work differently – in a way that satisfies and is sustainable – physically, emotionally and psychically. And that may or may not change your actual job title, but it will change your relationship to work because your relationship toward yourself transforms. But to get here from where you are, you have to put down your disbelief. You have to learn to love who you are more than you do now if you want to be able to see your design. The dissatisfaction you experience in your work is misunderstood. What happens now is that your ego uses your dissatisfaction (or the dissatisfaction you witness in others) to prove to you that it’s not possible to experience career bliss. Your ego tells you that it doesn’t exist. Or that maybe it does, but only for the lucky few (because you’ve seen it, but it’s quite unbelievable). But you’re reading your information in a way that is detrimental and even dangerous as you raise expectations that encourage others as they have encouraged you to work until the depression, frustration, weight, anger or sickness takes over. Authentic. Articulate. Mystical. Wildly professional. Because that’s what I wanted. Because that’s how I work. Because that’s how I am. My resume looked like a “resume” to any outsider, but it was far more intriguing to read. And when I showed up for the interview as the creator of that resume, I knew I had the job before I even sat down. Though at the time I had no formal experience or training in the career field, I was asked to help make people feel about their resume, how it felt to engage with mine. Three hundred resumes later, I developed a process that succeeds because people put down their own disbelief that it doesn’t really matter who they are and so it doesn’t really matter what they do for work, so it doesn’t really matter how their resume looks. The thing is that when you think that something like this doesn’t matter, what happens then is that you don’t know how to write or talk about yourself in a way that helps you create what you want. People that you talk to don’t really understand who you are, what you want or what you do (or want to do) either. As a result, you might also even believe then that you have no idea what it is that you want to do for work that feels like relaxed focus. That’s play btw. :: Most importantly of all, helps you to create work that is sustainable to engage in – meaning that you want to wake up and go to work and that makes you feel happy. Depression, anger, frustration and illness cost you not only your happiness but also your livelihood. I know from personal experience. This project and process is about bringing your real self to the page in ways that make you want to work, help people in your network understand unequivocally what you do + how you do it so that it feels like the whole world is conspiring to make your career a fairy tale come true. And it costs – nothing. I am giving all my secrets away because this shouldn’t be a secret. And then I’ll see what comes of it. So right now, clap your hands because you don’t have to work on your resume by yourself with a boring book taking phrases from it that aren’t really you! And next, I recommend telling other people about this. Facebook, Twitter, LinkedIn (below). P.S. You’ll want to bookmark the link below and/or sign up for the newsletter (in the right column) so that you get the articles as they are released. You don’t want to miss these. PREVIOUS POST — would you like to make your work more interesting? like today?